More than 30,000 people have fled their homes in northwest Syria's Idlib since Bashad Assad regime and allied forces resumed air and ground bombardments there last week, a United Nations official said on Monday. Assad forces, backed by Russia and Iran, has been preparing a major assault to recover Idlib and adjacent areas of northwest Syria. The area is the last major stronghold of active opposition to Bashar Assad. Also on Monday, the U.N.'s emergency coordinator said an all-out military assault on Idlib could provoke the worst humanitarian catastrophe of the 21st Century and must be averted. David Swanson, spokesman for the U.N. Office for the Coordination of Humanitarian Affairs, said that as of Sunday, 30,542 people have been displaced from northwest Syria, moving to different areas across Idlib. U.N.'s emergency coordinator Mark Lowcock said some 800,000 of those could flee their current homes in an exodus sparked by a major battle. 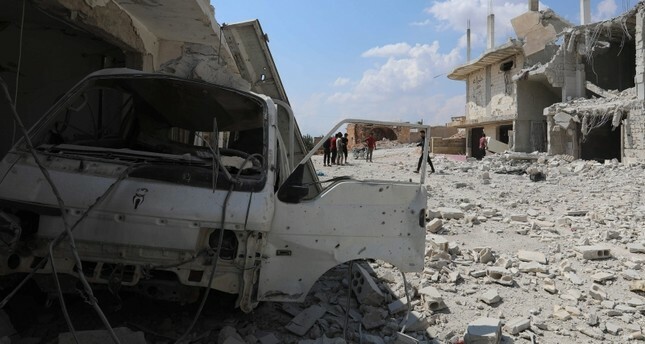 Abu al-Baraa al-Hamawi, an opposition leader in northern Hama, said about 95 percent of people had left a number of villages in northern and western Hama province and in southern Idlib province in the last three days due to intensive air strikes. Tehran and Moscow have helped Assad turn the course of the war against an array of opponents ranging from Western-backed opposition to terrorist militants, while Turkey is a leading opposition supporter and has troops in the country.